With Youth London having to postpone organised events and competitions, the winter training sessions for us were temporarily halted this week as well by ‘the beast from the east’ and Storm Emma. Normal sessions should resume this week but please check with the relevant coaches. New faces still welcome as its early days yet. Please contact any of the following if you would like to get involved. Seniors and U14-U17 on a Tuesday at Whitmore High School, Harrow. Contact Dennis Diggins 07768 352680 (Senior), Tony Griffin 07966 160999 (Youth U14-U17), Fiona Corrigan 07940 568702 (Girls), Colin McGuinness 07779 340398 (U12 and younger). 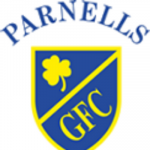 Parnells are delighted to announce that we will be taking part as a ‘walking group’ in this year’s St Patrick’s Parade in London on the 18th March. This is a first for the club and it will be a great opportunity for children and parents to enjoy the atmosphere of a great event. Please contact Veronica Bailey if interested (07768 635534). The Seniors AGM was postponed and now re scheduled for the 9th March, 7.30pm @ The Green Man, Kingsbury. Everyone is welcome. Next Youth Meeting is earlier in the week on the 6th March, 8pm at the same venue.